Suitable for use on 1 / 2 Speed Brompton Bikes. Fits Brompton Rear Axles (outer nuts, outside the frame's dropouts). Make your Brompton lighter with Ti Parts Workshop titanium components. 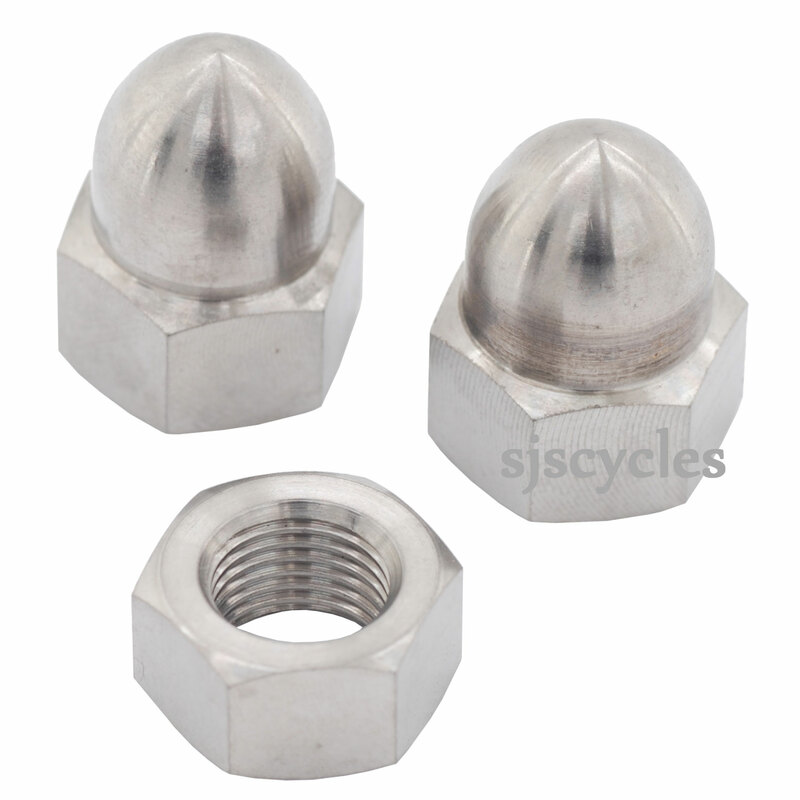 Set consists of three nuts; two cap nuts and one standard.